Only 2 automotive manufacturers build opposed 6 cylinder engines today. Subaru and Porsche. Because this unique design is by definition flat rather than vertical, it allows lower placement in the vehicle, which in turn assures a lower center of gravity. A lower CG in turn improves handling and balance. The entry price for any Porsche with opposed 6 power starts at more than $60,000 for the entry level Boxster, and soars to over $200,000 for a 911 turbo. 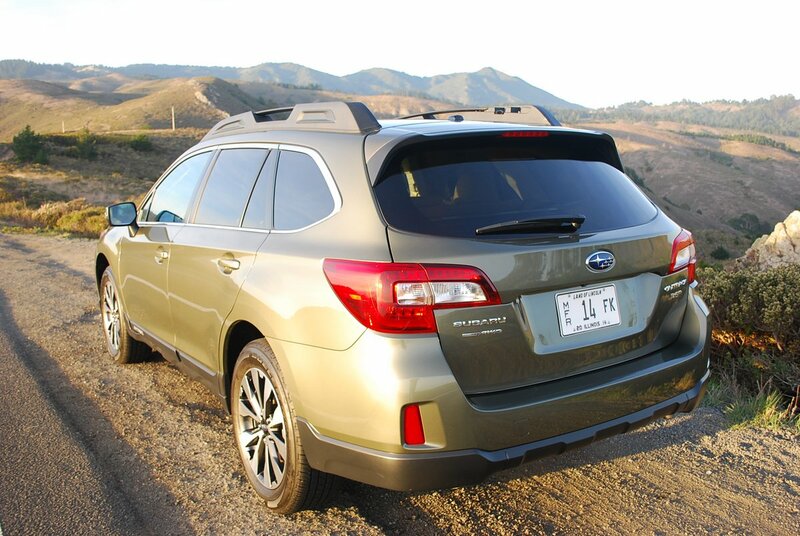 But if you want similar engineering for much less money, opt for the 3.6R version of the Subaru Outback, which features a 3.6 liter “BOXER” 6 cylinder engine producing healthy doses of both horsepower (256hp) and torque (247 lb.-ft.). Think of the 3.6R Outback Limited, with its base price of $32,995, as the pauper’s Porsche. Although you can order an Outback with the base 4 cylinder, 173hp engine for as little as $23,495, the 3.6R is definitely the way to go. By choosing the flat 6, you assure yourself of enough scoot to maximize passing opportunities beyond the capacity of the 4 cylinder motor. The flat 6 is coupled to one of the happiest Continuously Variable Transmissions (CVT) available today. 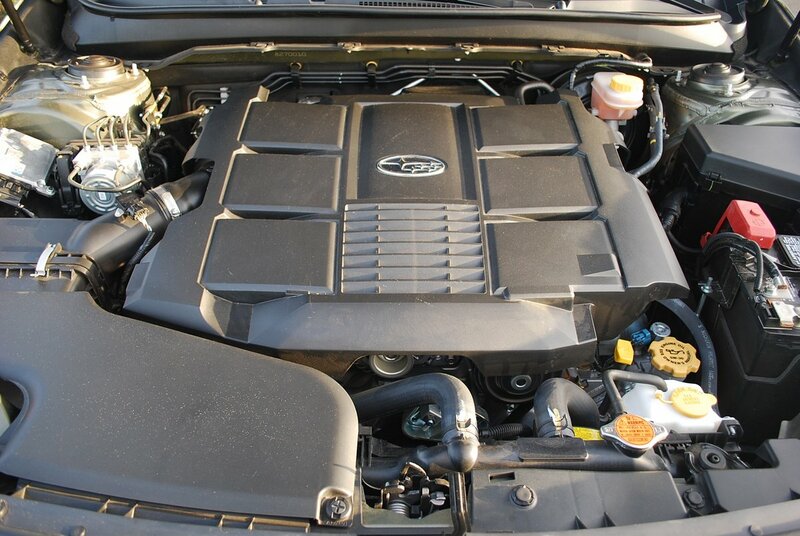 Subaru’s “Lineartronic” CVT offers a spread of 6 pseudo gear sets that allow you to manipulate the power and torque output of the 3.6R engine to maximum effect. The drive train in this Outback affords gratifyingly instantaneous thrust when you select the appropriate simulated gear ratio from the 6 steps available. Newly developed active torque vectoring keeps each wheel churning at maximum effective speed. However, such straight line zip would be worthless without corner taming suspension refinement. 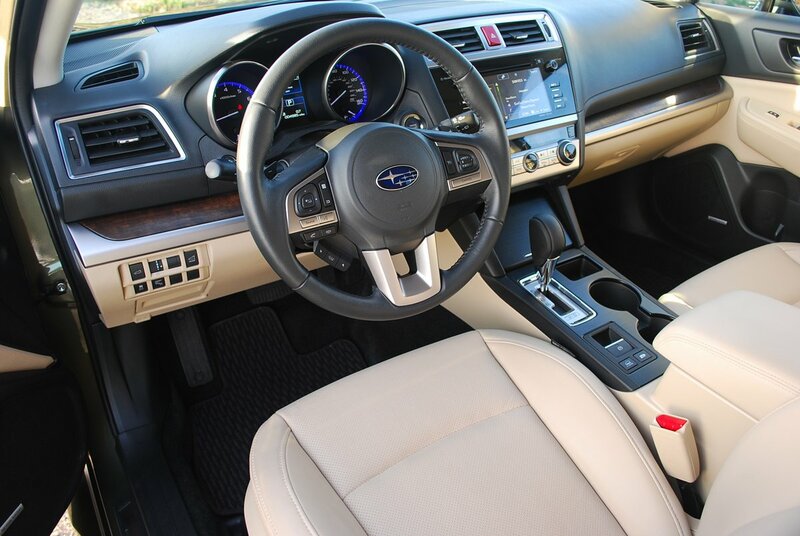 But Subaru has that eventuality covered as well thanks to an all new platform for the Outback for 2015 featuring standard symmetrical all-wheel-drive. Subaru products have long been the favorite choice of motorists living in inclement weather regions because of their AWD prowess. This Outback has absolutely no trouble pinning its power to the ground no matter how hard you crack the throttle of its rambunctious flat 6. A MacPherson strut front suspension works in consort with a double wishbone independent rear layout to provide reasonably crisp handling while maintaining enough road clearance (8.7 inches) to let you tackle outback roads in your Outback. Helping in this regard are a stout set of mud and snow rated Bridgestone Dueler H/T tires (225/60R18) mounted on special Limited edition 18 inch alloy rims. 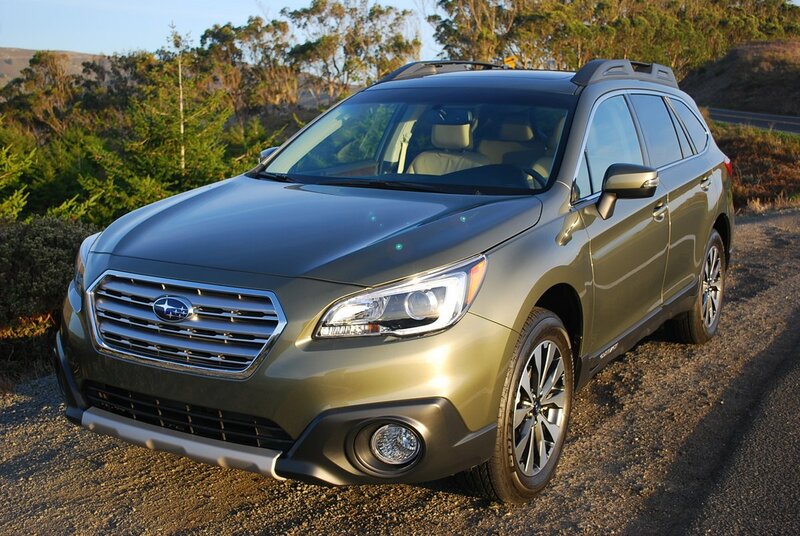 The 2015 Outback Limited is without question the most luxurious Subaru built to date. The first thing you notice inside the cabin is an abundance of soft touch surfaces wherever your hands come to rest. The perforated leather seats are a pleasure to fondle, but could do with more upper torso support. Particularly attractive is the genuine open pore woodwork that adorns the dash face and door panels. Unlike Subaru clatter boxes of yore, this Limited is regally silent and well insulated. An acoustically damped windshield along with new liquid engine mounts account for these welcome sounds of silence. The new platform design, though only marginally larger than the one it replaces, yields dramatic gains in interior room, which increases to 108 cubic feet, of which 73 cubic feet can be dedicated to cargo. Slipping a full size bicycle through the hatchback of this Subaru is really a simple operation. First, you remove the tubular privacy screen from its location behind the rear seat by compressing a spring fitting. Flip the 60/40 split rear seats forward using a single latch outboard of each seat. Use your key fob remote to activate the automatic lift gate, then slip your bike into the vast rear cargo area which is neatly protected by a vast rubberized mat. Pushing a handy button located on the tailgate door shuts the lift gate automatically. Life is thus easy with Outback. It’s faster than you think, more nimble than it looks, yet still every bit as practical and affordable as you’ve come to expect from Subaru. For 2015, this dependable companion has gotten better without getting bigger, and faster without getting thirstier. The virtues of Subaru’s clever wagon/SUV have long been a well kept secret among all wheel drive enthusiasts. Try the 3.6R Limited and you’ll find out why it’s so highly acclaimed by its loyal fan base.